After making the spring tissue box, I decided to make this Hello Spring card for Mary's spring card challenge. I used the Straight From the Nest Cricut cartridge and the rest of the products are from Stampin'Up! Spring is just around the corner! 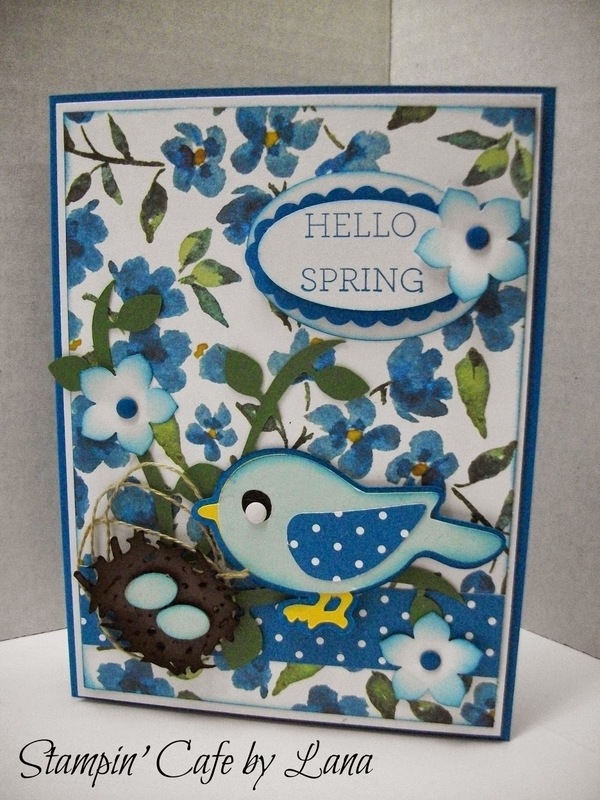 What a very pretty Spring card!! Love that adorable little bird!!! Thanks for joining us at Cardz TV! Thanks Gerda. I was excited to be a part of the challenge!